Determined to enjoy her imminent retirement, Adele invites her fellow bibliophiles to help her house-sit in the Blue Mountains. It's a tantalising opportunity to spend a month walking in the fresh air, napping by the fire and, of course, reading and talking about books. But these aren't just any books: each member has been asked to choose a book which will teach the others more about her. And with each woman facing a crossroads in her life, it turns out there's a lot for them to learn, not just about their fellow book-clubbers, but also about themselves. I so enjoyed these four ladies in this book. I am entering this age group. I could not put it down once i began reading this book. I do love getting lost in a book and escaping for a while from the outside world. 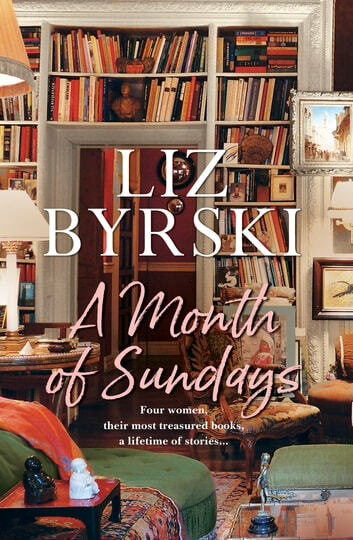 reading is such a joy for me and the wonderful Liz always delivers a good read. Wonderfully written. A gentle reminder of the value of relationships between women and the importance of their special bond. 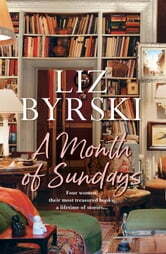 Another fantastic novel by Liz Byrski, possibly her best yet. An awesome story of four amazing women who come together to restore their lives.